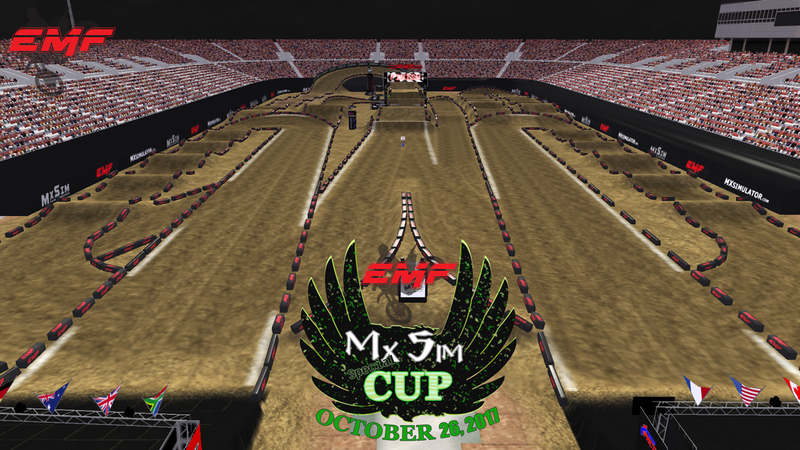 The EMF organization is proud to present the 2017 Special MxSim Cup for Mx Simulator. 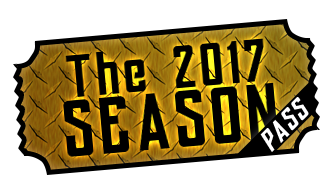 After a long motocross season for racers followed by a tight off-season break, it's time to go back to racing Supercross for Season pass owners. We will also host a free class, open to any licence. Credits go to Stephen Barrington and his co-workers for the track. As you might all know, this specific event have his own specificity : the joker lane. Explanation for newcomers, it's a line you have to take once during your moto. In the past we were used to see a slower joker lane, this year it will be faster than the usual track. - The joker lane is only affecting the main event, you can't take it during the LCQ. - You can't take it until after going over the finishline the first lap. - You can't take it once you've received the white flag. - You can't take it more than once by moto. - If you break one of theses rules you will be disqualified and forfeit any prize you might have earned. Check the "joker lane" section. Check EMF 2017 rules here. Rules may be changed or added at any time. It's up to you to be updated at any given time. This track is the exclusive property of EMF for the purpose of the 2017 MxSim Cup races. Track is not permitted for use outside of theses races until they have concluded without expressed consent by EMF. You can download the demos of the races in the results page of each round. What time EST is this event? Abear944 wrote: What time EST is this event? You guys have to unsign up from the free class, and signup in one of the 2 classes of the special MxSim Cup. Results are up on the website, if you took the joker lane twice or in the last lap you're DQ from this moto. M@xTizZz wrote: Results are up on the website, if you took the joker lane twice or in the last lap you're DQ from this moto. say what? so if you took it on Lap 9 going into the final lap you get dq?`thats total bs. they did that IRL? its exactly the same as every other lap? and a DQ? really? that totally ruined my chances at a podium finish. why isnt it allowed to take it on lap 9? Dennisfjeldberg wrote: why isnt it allowed to take it on lap 9? whats so special about the last lap? is it some sort of boost to do it final lap ? i would get it if i didnt take it at all or took it going right out of the gate. but a DQ for doing in on a different lap then everyone else is a instant DQ. it just doesnt make sense. and on RF and IRL they didnt say anything about doing on lap 9.